This handmade Arabic card says Al-Awda (the return) and is for those awaiting to go home. 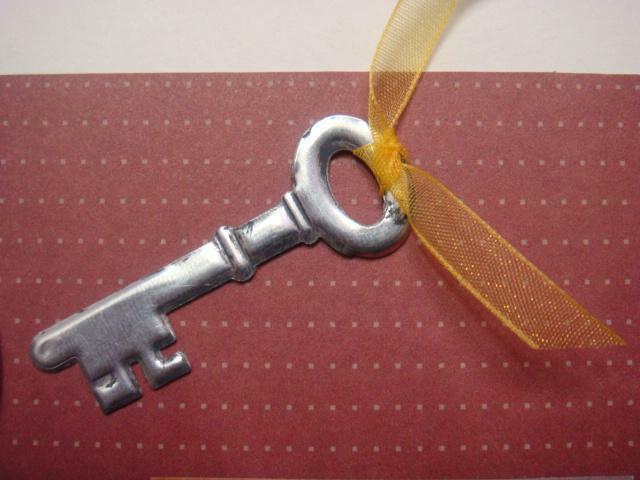 The key is 3D and has a yellow ribbon tied to the top. 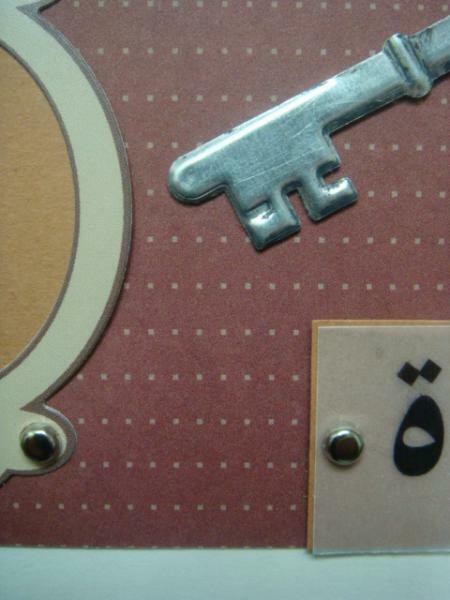 The key hole is bolted with brads, as is the word 'Al-Awda' written in Arabic. I made it in my non-smoking, pet free craft room. 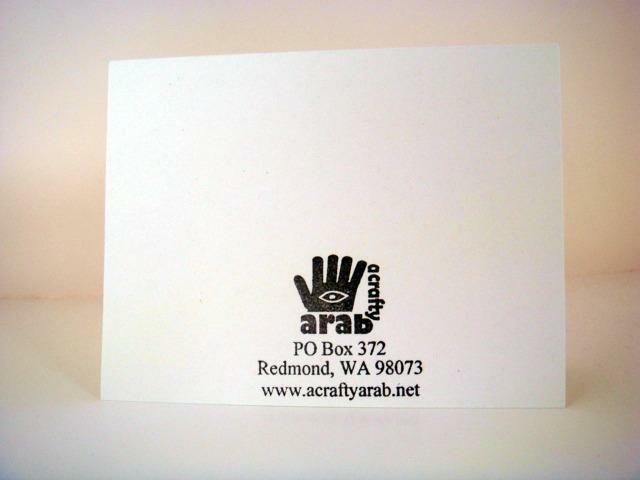 Be sure to check out my other Arab crafts.